Rated The Top Painter In Ontario – That’s Precision! 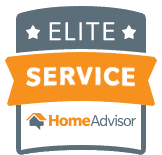 Based on Home Advisory & Trusted Pros 2016/2017, and from hundreds of our amazing clients in the Kitchener-Waterloo region. Whether it’s walls, trim, ceilings or doors; we’ve got you covered! We’ve upgraded hundreds of homes just like yours! No one loves staining as much as we do! And we believe we’re the best at it. From railings, to stairs, to fireplaces, and even floors. We’ve painted offices, stores, hotels and even entire condo buildings! Whether you’re looking to spray or do it by hand, we can do it for you. We take great pride in our experience, expertise, quality, and customer service that we provide to meet the consumers needs. Hi, I’m Corey, the owner of Precision Painting. Whether you’re looking to paint your interior, exterior, or even your commercial space, we’ve got you covered! As a result, our mission is to provide excellent workmanship and complete customer satisfaction from start to completion of a project. Likewise we are very understanding to the needs and expectations of our customers. Most noteworthy, we take great care to work and communicate with every customer in a professional manner, and above all, our reputation is based on service, safety, and quality, regardless of how large or small the job. Here at our company we use only the top quality tools. First of all, we believe that using high-end tools helps us achieve our high-end quality. Similarly, the quality of the paint is just as important. For that reason Precision Painting uses Diamond paint from Dulux. This is the stores highest quality paint built with 100% acrylic and virtually NO VOC’s. Obviously, this paint may not work for every circumstance, but rest assured, we’ll always find the right paint for the job. If you would like to learn more about Diamond Paint from Dulux, please click here to visit their website.